Make way for Mama! Powerful and intense, you’re not just a mom, you’re the master and commander of your family. As with everything, you run a tight ship, steering your clan toward your utopian family vision. Homeschooling, organic food — whatever you prioritize, you’ll refuse to compromise. Settling is not in your vocabulary. Scorpio, you rule your roost, and your kids have no illusions about that. They might be a teensy bit scared of you (we know — you don’t believe it), but they’ll certainly respect you, too. 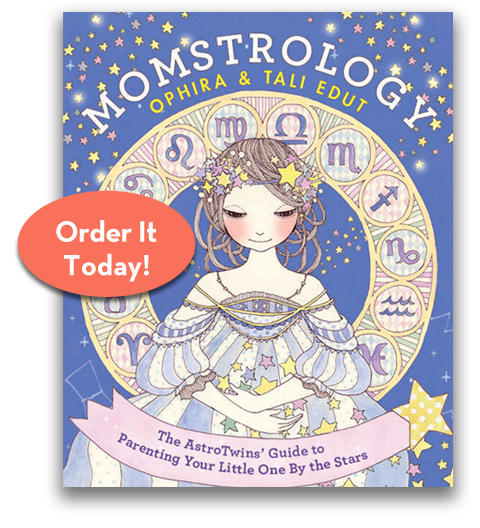 Scorpio rules the reproductive system, so childbirth may be less complicated for you than for other moms. You tend to be limber and flexible, and it doesn’t take you long to get back into pre-pregnancy shape. Enjoy those skinny jeans now, because if you have daughters, they’ll definitely raid your closet. You have spiritual leanings (if you’re not a full-on mystic), so you may infuse pregnancy, birthing and childrearing with all kinds of esoteric influences. You may even opt for natural childbirth, or enlist a midwife for delivery. Home is your sanctuary, and you’ll create a beautiful space for your family to Zen out together. Domestic bliss is essential for your happiness, Scorpio. You love to curl up on a comfy sofa and watch movies. Doing things as a family is so important to you. Like Scorpio Julia Roberts, you might even move to a more low-key location once you become a mom. You couldn’t care less about the rest of the world once you have your tight-knit inner circle around you. And you’ll do everything in your power to make sure they feel the same way. It’s no secret that you’re a control freak, Scorpio. You know what you want, and you’ll do whatever it takes to get it. You can’t help noticing the details of everything, but your tendency to micromanage could cramp your kids’ independence. Children have minds of their own, and will make decisions you don’t like, especially as they get older. You might need to develop a few extra coping skills to deal with that! Scorpio, make sure you’re parenting from power, rather than fear. You love your kids in an all-consuming way, but you can’t isolate them in a safe little bubble. Manage an impulse to over-coddle your kids, or to give them a sense that the world outside your door is unsafe. Let them leave the nest, even if it’s hard! Because you’re the sign of extremes, your emotions can run hot and cold. Sometimes you’re totally friendly and outgoing, other times you can withdraw into your own world. During more private moments, you may have difficulty showing affection or tender emotions. You can definitely deliver tough love, and your standards can be extremely high. Make sure you’re not being an ice queen when your kids need compassion or a hug. You do need personal time, so try to get enough of it so you can be “on” when necessary. Scorpio rules regeneration: you crash, burn and rise again. Make sure you have a comfy enough haven so you can easily rejuvenate when those moods get too dark or intense.